Prolific Chilean actor known for his starring roles in the shows Aquí Mando Yo, Papi Ricky, and Hijos del Monte. 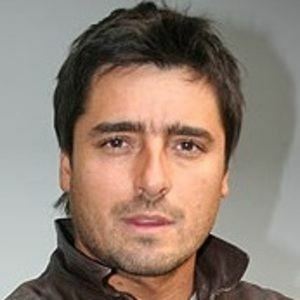 He has also appeared in Separados, Dueños del Paraíso, and El Amor lo Manejo Yo, amongst others. He made his acting debut in 1996 in the television show Loca piel. In 2001, he made his silver screen debut in the drama Antonia. His father, Antonio Zabaleta, and uncle, Miguel Zabaleta, were both members of the musical duo Red Juniors. He and Francisca Allende have three children. In the hour long comedy Aquí Mando Yo, he starred alongside Maria Elena Swett.